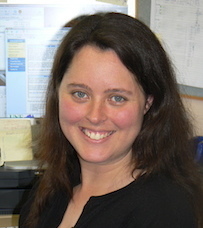 Rachael Adlington is an academic in the School of Education, University of New England. She works with Education students to become proficient users of Information and Communication Technologies to enhance teaching and learning. Dr Adlington is also an experienced primary school teacher, specializing in the teaching of literacy, technology and music. Her current research interests include the new literacy practices emerging alongside new technologies, co-authorship in online spaces such as blogs, children as online authors, systemic functional linguistics, social semiotics, multiliteracies and the role of technology in all levels of education. blogs, Web 2.0 literacies, technology in education, multiliteracies, young children as web 2.0 authors. Adlington, R. (2017). Teddy bear, teddy bear: Modal hybridity and the co-constructed blog. In P. Chappell & J. S. Knox (Eds. ), Transforming Contexts: Papers from the 44th International Systemic Functional Congress (pp. 26 - 32). Wollongong, Australia: The Organising Committee of the 44th International Systemic Functional Congress. Adlington, R. (2014). Exploiting the distinctiveness of blogs to overcome geographic isolation. Australian and International Journal of Rural Education, 24(3), 1-13. Adlington, R. (2013). Hierarchy of periodicity in blogs. Paper presented at the Australian Systemic Functional Linguistics Association National Conference, Melbourne, Australia. Adlington, R. (2013). Blogs: Understanding and capitalizing on ‘newness’. Paper presented at the Australian Association for the Teaching of English/Australian Literacy Educators' Association, Brisbane, Australia. Adlington, R., Parkes, M., & Unsworth, L. (2011). Herding Cats: The collection, classification and analysis of web-based content for online researchers Proceedings of the 'Bridging the Gap’ postgraduate research conference. University of New England, Armidale, 2010. Stewart, C., & Adlington, R. (2010). Dance of change: Print-based distance education to creative networked learning. In W. Kinuthia & W. Taylor (Eds. ), Cases 'n' Places: Global Cases in Performance and Educational Technology. Charlotte, NC: Information Age Publishing. Adlington, R. (2009). Reading beyond the lines? The role of digital texts and technology in reading groups. Conference proceedings of the National Conference for Teachers of English and Literacy. Hobart, Tasmania. Stewart, C., & Adlington, R. (2009). Changing direction with teacher educators in distance education provision. Journal of the International Society for Teacher Education, 13(2), 62-70. Adlington, R., & Hansford, D. (2009). Digital spaces and young people's online authoring: challenges for teachers. Australian Journal of Language and Literacy, 32(1, 2), 55-68, 94. Reading, C., & Adlington, R. (2008). Integrating Mathematics and Quality Teaching in Isolated Schools Through Technology (Evaluation included in the final ASISTM project report). Armidale, NSW: University of New England, SiMERR – National Centre,. Adlington, R., Unsworth, L., & Parkes, M. (2006). ICT and beginning literacy pedagogy: constructing electronic texts in the early years. Paper presented at the ‘Bridging the Gap’ postgraduate conference, University of New England, Armidale.